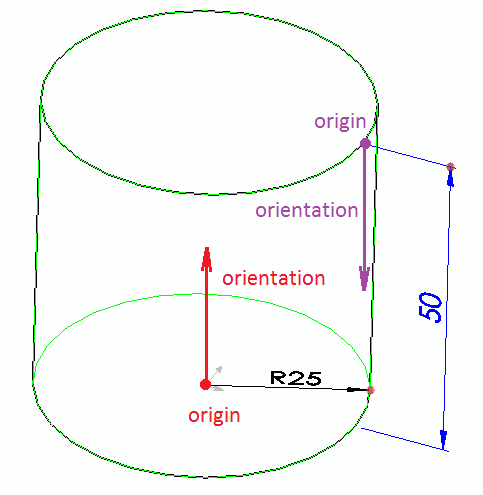 It is required to arrange the dimensions after rebuild by overriding the OnSetDimensions method. Use DimensionData::SetOrientation helper method to align the dimension. Origin is a starting point of the dimension. In some cases it might be required to pass the data from OnRebuild method to be used within the OnSetDimensions. For example when the geometry is required to calculate the dimension position. This could be possible by creating custom rebuild result and returning from the regeneration function.